Happy Monday guys!! This is a big week for me. I start my new job at a great firm on Wednesday. Last week I was out a lot and spent most of the week busy but also relaxing (if that makes any sense). At my now old job, I cleaned out my office and wrapped up some work that needed to get done and said “peace out”. During the week, I took a few drinks, met up with my girls and had a great week – so yeah, that’s where I’ve been, you know … in case you’re wondering. But this post isn’t a recap, it’s an Influenster VoxBox review. ** I received this product complimentary from Influenster for testing and review purposes. All opinions are my own. Yesterday I did my hair (colour, wash, steam, twist and dry) … I’ve said before that it takes hours and a whole lot of drama to “do” my hair. Several hours and lots of ado about nothing. My hair is pretty long with my locs reaching to the end of my back. When wet it touches my bum. I try my best to take care of not only the locs but my hair and my scalp. I received this voxbox last week and I saved this post for this weekend so I could try out some (or at least one) of the products. When I was sent the questionnaire for hair products I was stoked. Like I mentioned I take care of my hair. 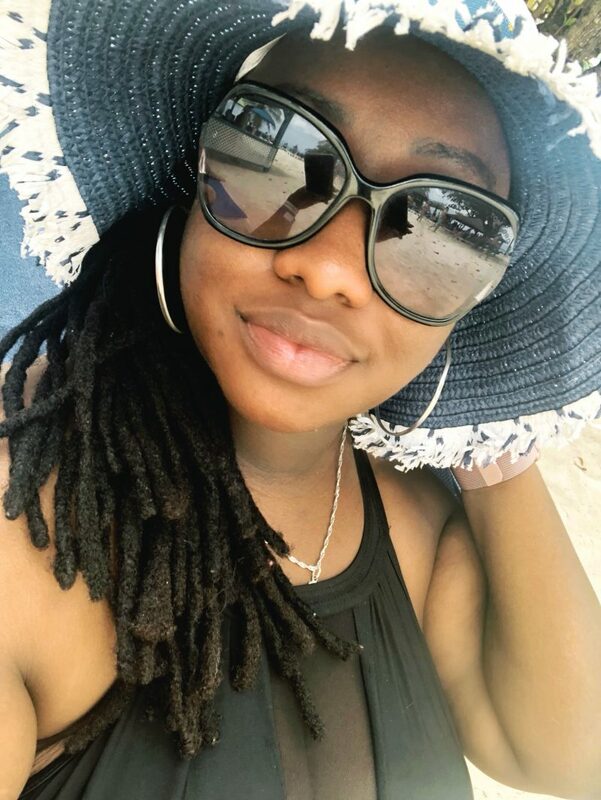 There is some misconception that people with locs don’t wash or condition their hair (I have seriously read this on message boards – don’t get me started again on the stereotype thing …) or don’t need to take care of it. Wrong-o. It actually takes a lot of work and your hair and scalp need to be strong in order to hold the weight of the locs. I shampoo and condition my hair (I can condition it since its been locked for so long). The attention and detail I give to this mass of hair is borderline ridiculous. Even though I really do take care of my hair, I answered the questionnaire honestly and admitted that my hair was becoming very weak and was damaged (I colour it black pretty often). Based on my answers they chose to send me this box that I was excited to try. The packaging was so professional. Loved the box! 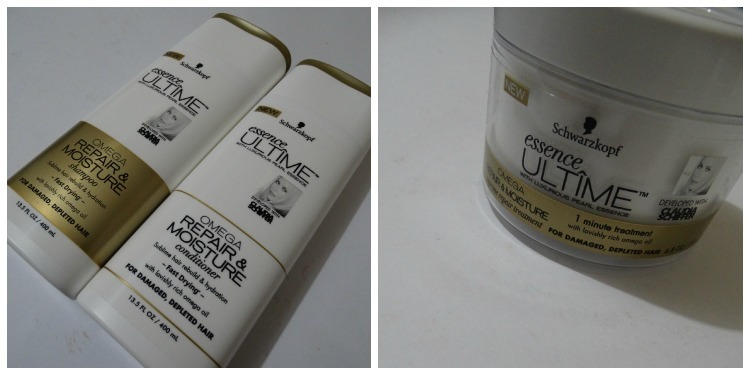 Inside, there was the Essence Utime Omega Repair and Moisture shampoo and conditioner and the Essence Ultime repair and moisture hair treatment. 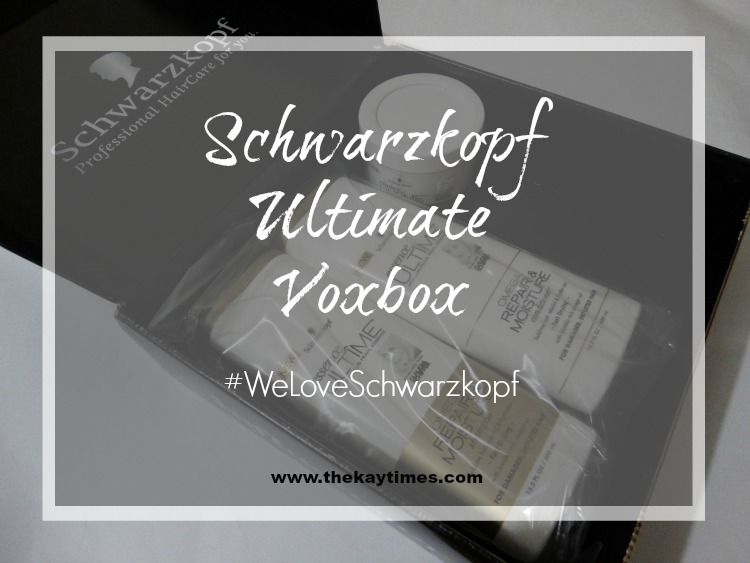 I’ll admit that I’ve never heard of this Schwarzkopf brand before but its noted as one of the largest cosmetic brands and is used by professionals worldwide. Best of all, the products are for all hair types. As you can tell from the photo above, the box that was sent to me was for damaged hair (based on my answers). I have yet to try the shampoo or conditioner (I used my own yesterday since I was colouring) but I did try the hair treatment … and guys it smells awesome!!! Smell aside, I hope it works. I’m not sure what kind of immediate results I will see but I will update you guys soon. Also, I plan on using the shampoo and conditioner along with the repair and moisture treatment next week and I will definitely update you guys. Previous Post Literary Ladies Summer Reading Challenge ~ Preliminary List! !